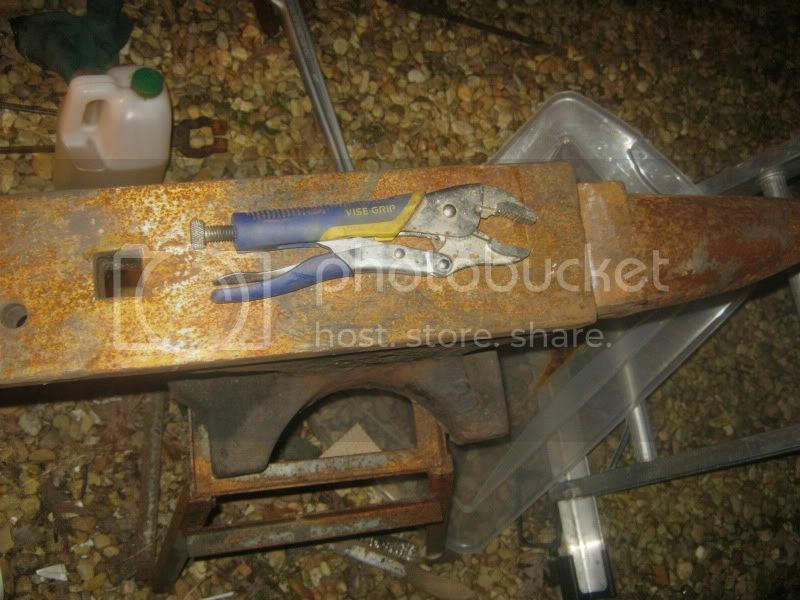 Discussion in 'For Sale: Knifemaking Supplies & Tools' started by Daniel Prentice, Feb 15, 2011.
hello, This anvil is 95% perfect, flat and very usauble. over 100 yrs old. weight between 225 and 250 will try and get exact weight soon. this thing is everything you need...... cutting surface is perfect, has a small cut in back side, flat surface and sharp edges, best old anvil I ran across in years. besides the 350 lber I just picked up and I paid TOP dollar for it. 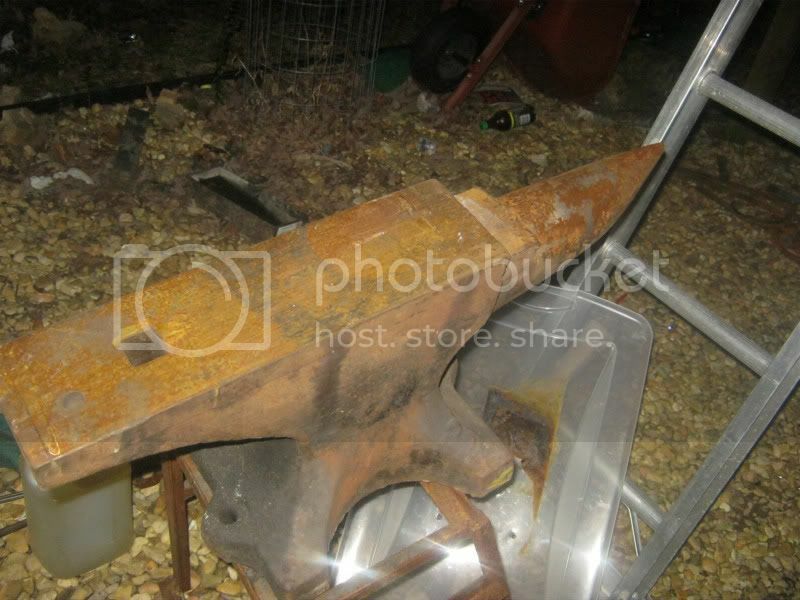 I want 600 for this anvil and pickup a must. 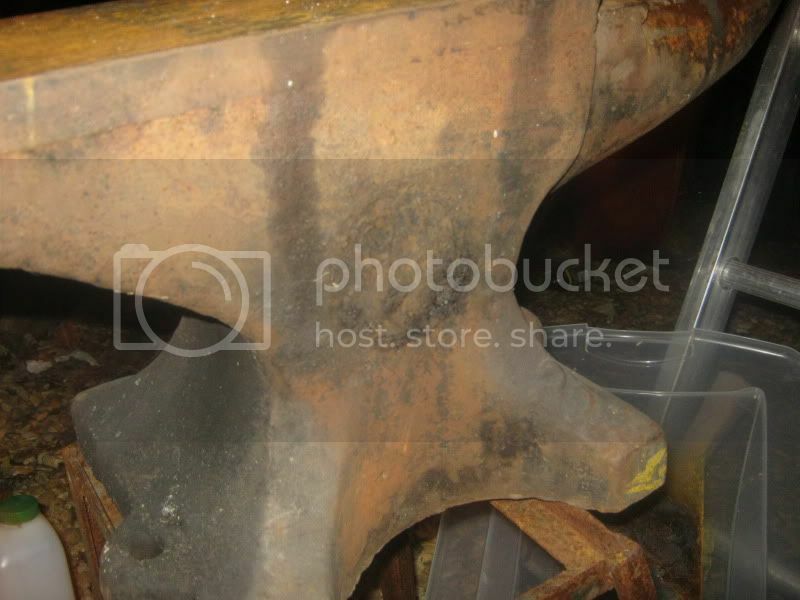 think the hardy hole is 1 1/8"
That's a great looking anvil. Do you know who the maker is? Does it have any numbers on the side that has the maker? the side looks like a fisher. I have used fishers and they dont seem as hard as this one does. no numbers. I would not sell this if I didnt just get a 350 lbs replacement. actually this is a better surface than the larger one. if you take steel wool to it it will gleem on the top when I kept it inside. 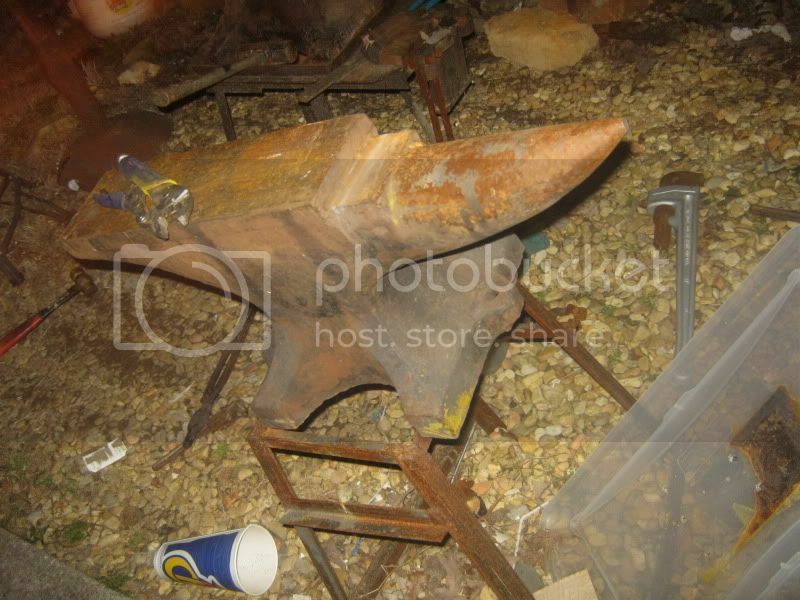 No problem, one of the finest anvils out there to work on. No ring and great rebound. Yours is in fantastic shape! Consider it sold! Will send you payment this evening. That is a 200 pound Fisher. If you look close, I think you will see "200" on the foot. 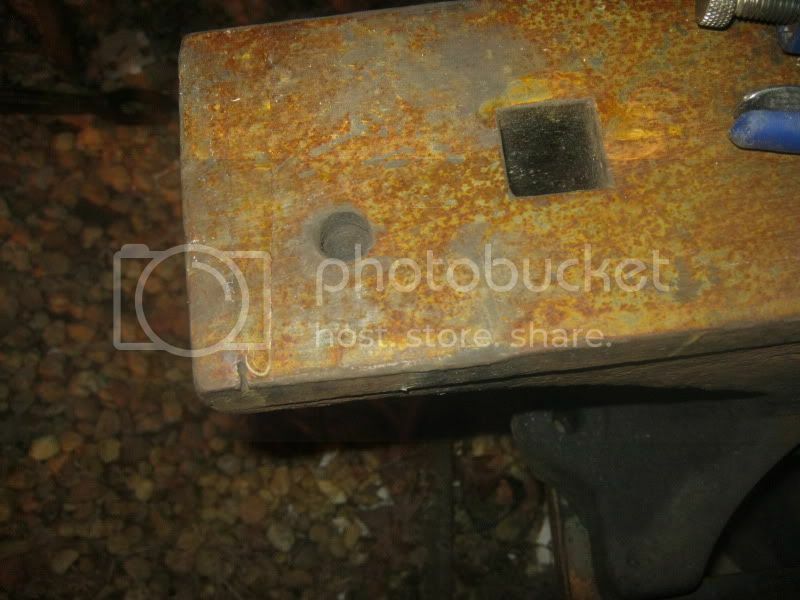 The foot area under the hardy should have "FISHER" on it, right above the bolt hole. Did you get this sold or is it still available? The anvil arrived today-what a great piece of steel! Great transaction, look forward to doing business with you again.